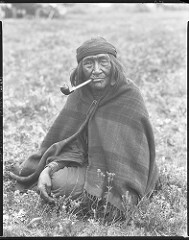 Canadian photographer Harry Pollard spent time photographing the people who made up the First Nations in Alberta, Canada, at the beginning of the 20th century, capturing their moment in time. 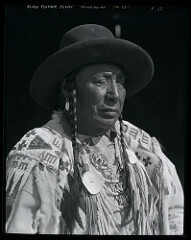 Pollard was born in 1880, in Ontario, and specialized in photographing native people. 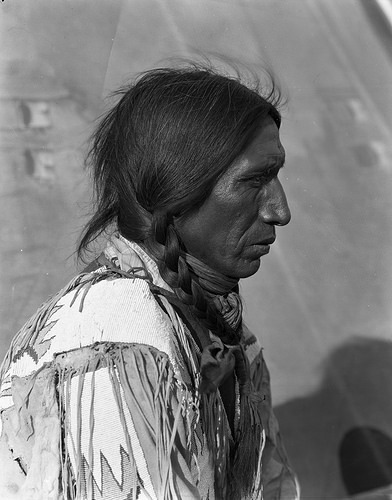 He arrived in Calgary in 1899 as a young photographer, opening a studio there. His career progressed and he spent some time working as a press photograher, during which time he was commisioned to produce promotional pictures of ocean cruises, a job that saw him travel around the world 14 times. 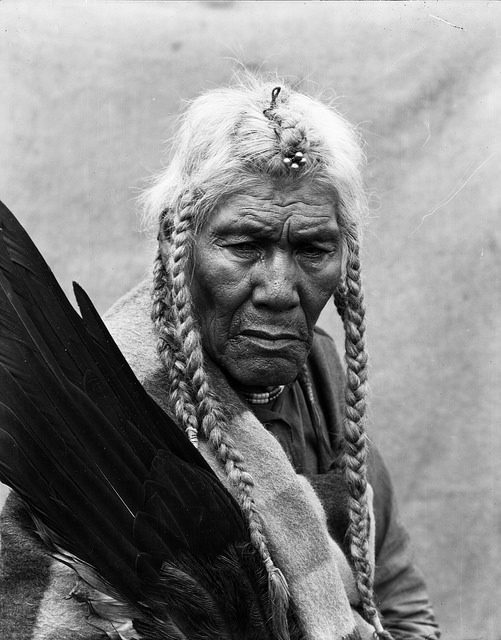 Pollard soon became famous for his portrait photography, and decided to head west to embark on a photographic research project of the First Nations. He intended to record their everyday lives. 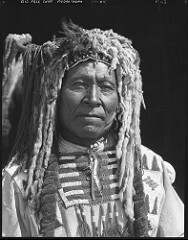 Pollard compiled a large collection of First Nations pictues, including images of the indigenous hunters and portraits of the tribal chiefs. Before taking their pictures, Pollard got to know his subjects so they wouldn’t feel uncomfortable. According to him, if he photographer wants to capture the essence of his object, he must communicate and build trust, otherwise he would only receive a stiff, posing figure with a ready-made expression. His strategy proved quite successful, considering the stunning images he had captured. 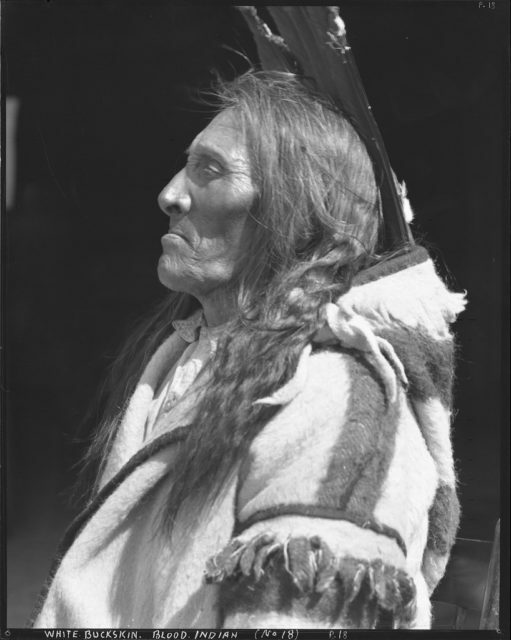 Pollard’s still-life photography from his time spent in the Assiniboine camp provides a unique window. 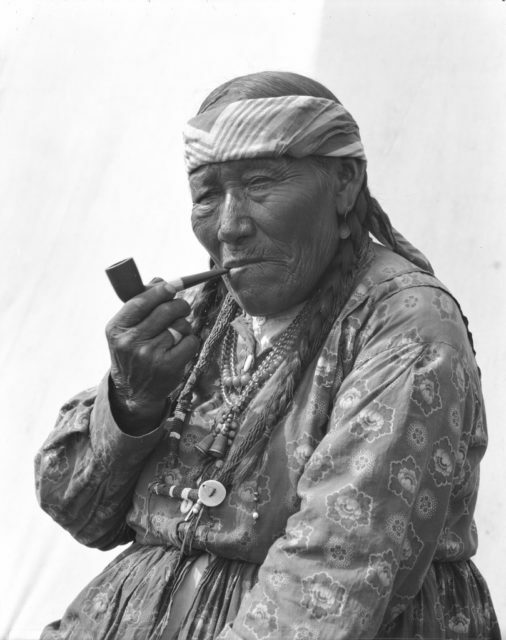 Many of the photographs are single portraits of adults from the Nakoda Nation, Siksika Nation, and Kainai Nation, as well as many others. 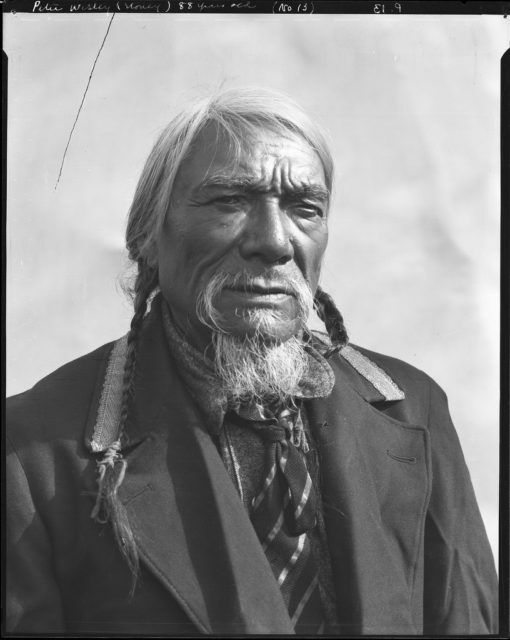 The name of each photographed individual was recorded, which have been housed in the Provincial Archives of Alberta since 1964. 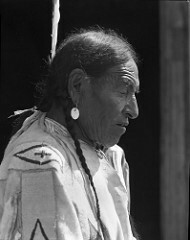 Pollard’s work included people from the Siksika, Kainai, and Piikani tribes. 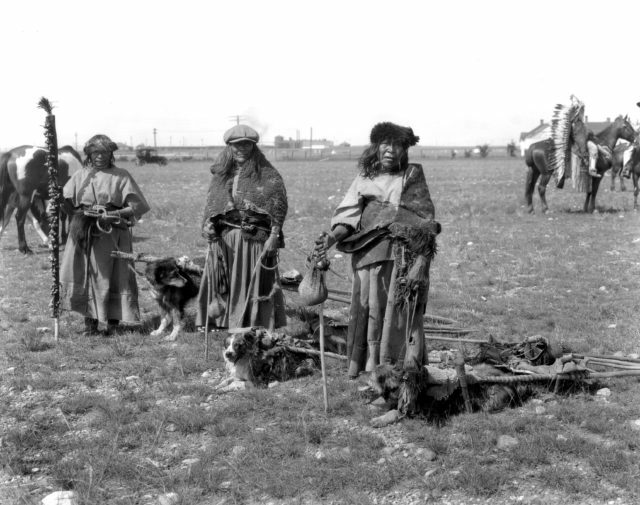 Ammendments to the Indian Act of 1873 eventually forced all of these tribes to move from their traditional lands at the beginning of the 20th century. 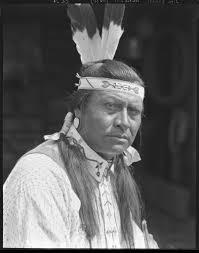 The 2001 Canadian census recorded that 84,990 Albertans considered themselves to be “North American Indians,” and by 2011 this had risen to nearly 117,000, or 13 percent of the total First Nations people in Canada. 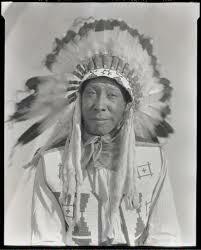 This fact gave Alberta the status of having the third largest First Nations population of all the provinces. Half of the population is registered as living on a reserve land, while the rest are off-reserve. 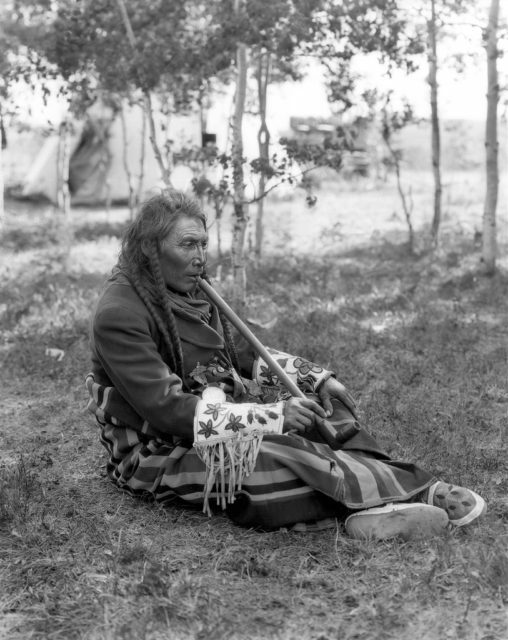 Many of the First Nations people living off-reserve are in cities, with a large proportion of them, approximately 18,000 people, living in the provincial capital of Edmonton; this is the second highest of any city in Canada. 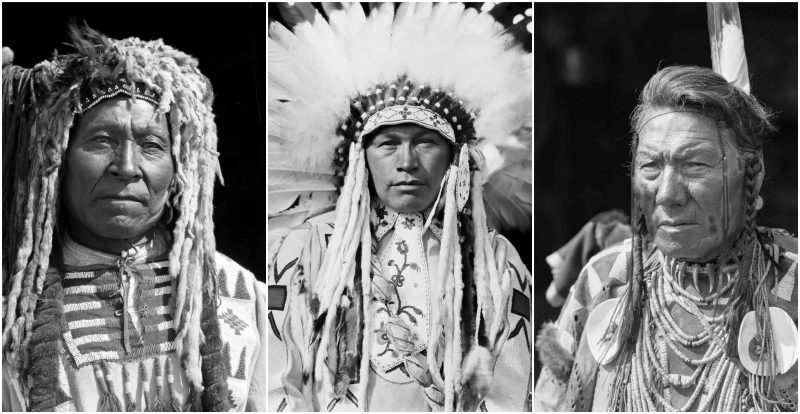 In Alberta, there are 48 First Nations groups with a council and chief; these 48 groups belong to nine ethnic tribes, based on their ancestral languages. 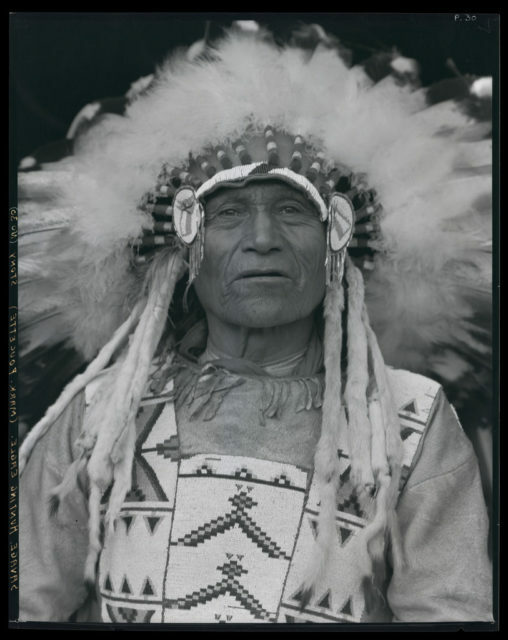 There are also nearly 20,000 people in the 2011 census in who claim to have some North American identity but are not registered in the official Indian Register.